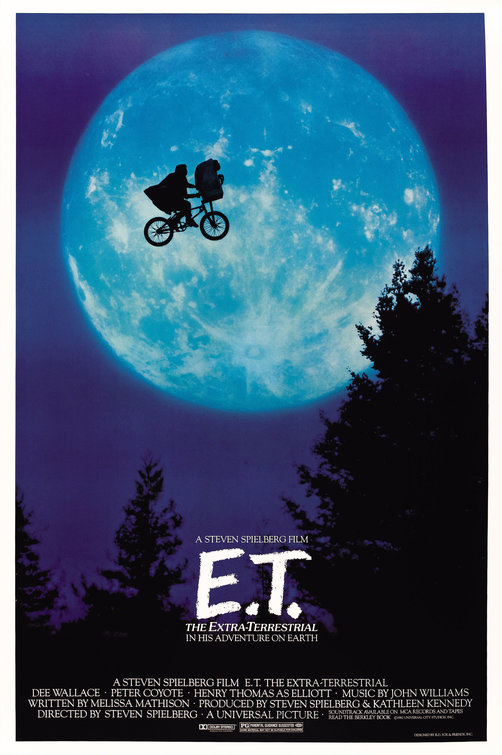 Elliot (Henry Thomas) is a lonely 10-year-old boy who discovers a little alien and names him "E.T." A group of alien botanists were on Earth during the night to collect plant samples, but government agents forced them to flee, leaving E.T. behind. Elliot lures E.T. into his bedroom using a trail of Reese’s Pieces and gains his trust. Elliot introduces his 16-year-old brother, Michael (Robert McNaughton), and five-year-old sister, Gertie (Drew Barrymore) to his new friend. Little do they know, the bond between Elliot and E.T. is more than just friendship, but also psychic as they both feel each other’s emotions and thoughts. But as E.T.’s health starts to decline, so does Elliot’s and the siblings must find a way to save their alien friend and get him home before the government agents find them. Make sure to follow us on social media for all the up to date information on upcoming movies and special events! Don't forget to sign up for our weekly email with next weeks showtimes! At The Towne Cinema, we are dedicated to providing our customers with friendly service. We value your business. We have made it our mission to provide a memorable experience in our customer-driven approach.